Willing to Settle in Australia permanently? Probing for best visa option? 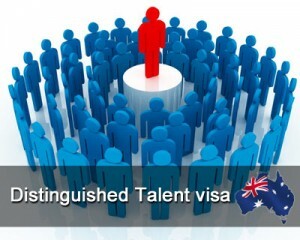 Then, the best suggested option is Australian distinguished talent visa. Australia is a leading destination for number of career opportunities. Immigrating to Australia through Australia distinguished talent visa category is based mostly on an excellent talent of the applicant in the fields of arts, sport, or research and academia. Australia distinguished talent visa is one amongst the Permanent Residence visas. It is not a points based system and individuals have no age limit in order to file a Distinguished Talent Permanent Residence Visa Application. People who would like to immigrate to Australia on Australia distinguished talent visa will be issued with a permanent residency status. Eligible Applicants can apply for an Australian citizenship after a period of two years. In order to obtain Australia Distinguished Talent visa, applicants need to meet the following distinguished talent visa eligibility criteria. No age limitation to apply for a Australia Distinguished talent visa, however, applicants below 18 years and above 55 needs to produce some evidence showing that they are financially independent and expected to be of special benefit to Australia. Must be capable to show globally record of outstanding and wonderful accomplishment in the fields of academia, arts, research or sport. The present processing time for migration to Australia under Australia Distinguished Talent visa category is around nine to twelve months from the beginning of the visa process. However, the processing time is subjected to change. If you are interested on this visa, please fill out MoreVisas Enquiry Form, so then one of our visa executive will approach you soon.